The venerable author Helen Luke, in her powerful book “Old Age,” touches on a wide variety of issues including aging, consciousness and letting go, through her deeply insightful analysis of some of the greatest works in literature. Her analysis of perhaps Shakespeare’s penultimate work, “The Tempest,” is thoughtful and brilliant. Prospero, a magician (with an understanding of the “Occult”), the main character and once Duke of Milan, is removed from power by his scheming brother, Antonio (with the help of Alonso, the King of Naples) and set out onto a leaky boat with his three year old daughter, Miranda, presumably to sink and die. 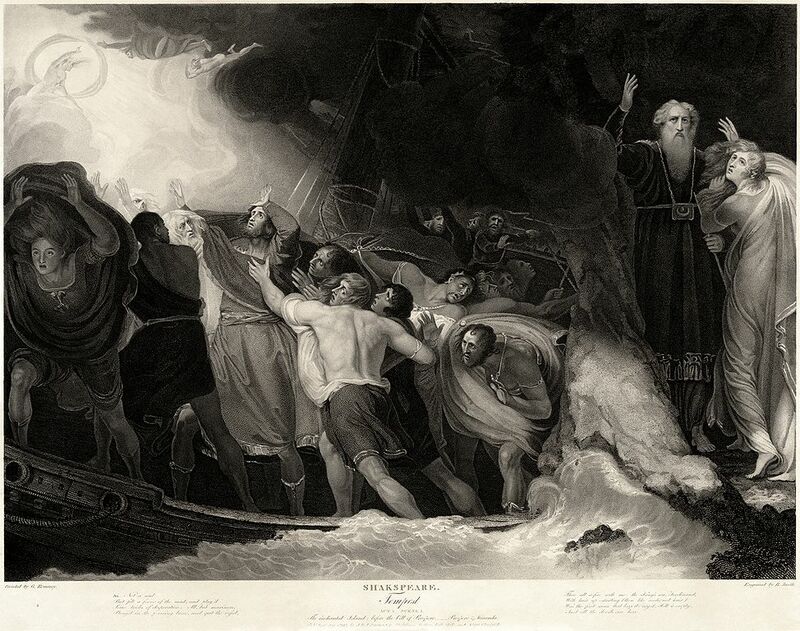 However, his friend Gonzalo (and Alonso’s counselor) fills the boat with supplies and Prospero’s books, to sustain them as they were set adrift. Prospero and Miranda survive and land on an enchanted island where, given his extraordinary powers of conjuring and magic, he frees a powerful spirit, Ariel, who was cruelly imprisoned within a tree by the presently dead witch Sycorax; Ariel is made to serve him with the promise of eventual release from his servitude. Prospero conjures up a great storm (the aforementioned tempest) to bring his scheming brother and the King of Naples to the island. Helen Luke, herself an accomplished analyst, takes a Jungian approach to her study of Shakespeare’s “The Tempest” and gleans powerful insights into the work. The Tempest, she notes, is about Forgiveness, the Folly of Arrogance and Power, Redemption and the Necessity of Devotion to Something Greater Than Oneself. Prospero, when he first arrives on the island, is full of his own pride and frees the spirit Ariel only to use her for his own selfish purposes. His arrogance kept him blind to what was truly necessary to redeem Miranda and himself – compassion. His arrogance and desire for power created resentment and anger, and is emblematic of someone who is unconscious of his own behavior. Helen Luke notes that the necessity to forgive is a key to letting go of the hubris that hinders one’s development into wholeness. She notes also that despite Prospero’s arrogance, there was a greater redeeming quality to him that eventually allowed him to see his folly and to be saved: Devotion – in this case, Devotion to his daughter, Miranda. By acting upon his love to serve something greater than himself, Prospero is redeemed and can now consciously approach his own mortality and enter into the last part of his life in wholeness. Devotion is to bring the sacred into one’s life, and is key to deflating the hubris of the Ego while simultaneously elevating the value of one’s soul. What Made the Ancient Greeks So Conscious?